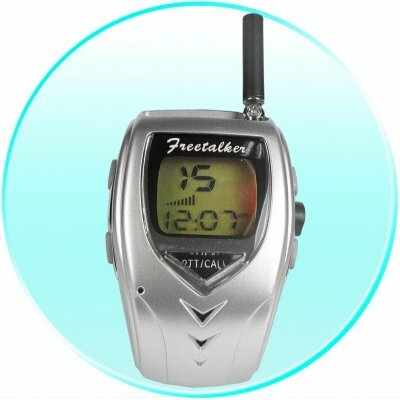 Successfully Added Walkie Talkie Watch - Backlit LCD to your Shopping Cart. Pair of walkie talkies on a wrist strap for a cool gadgety way of keeping in contact. With multiple channel support, a backlit digital LCD screen, an over 1km range, and a rechargeable Li-ion battery, this is a well rounded and useful communication device to own A great toy or amateur communication device for anyone, direct from China to your door with no MOQ.